Expeditionary Film School of Alaska began as the research interest and intellectual property of Professor DB Palmer, and supported the Outdoor Studies department at PWSC. Adventure filmmaking, emergency medical training, professional certifications, outdoor leadership skills and education, industry-leading instructors, and filmmaking opportunities in one of the most epic locations in the world. Expeditionary Film School of Alaska is the research/intellectual property of Dr. DB Palmer EdD, who redesigned, all the way through successful regional accreditation, and led the PWSC Outdoor Studies degree, a two year college program that, at one time, offered specialized courses in adventure filmmaking, shooting footage in the world’s most epic locations. Students not only gained an epic adventure film education, but also were able to back this up with emergency medical training, professional certifications, outdoor leadership skills and education, as well as targeted skill-sets. 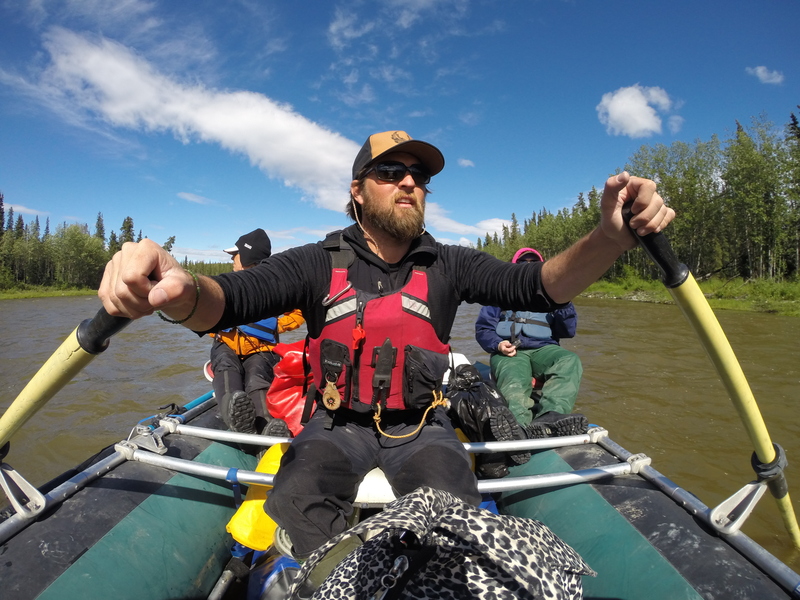 The ODS degree, with the support of Professor Palmer and Expeditionary Film School of Alaska, provided students with the tools necessary to enter the outdoor recreation industry as a professional. Opportunities for Alaskan film projects abound, and our students were uniquely poised to get these positions. Expeditionary Film School of Alaska brought leading filmmakers, outdoor leaders, solid academics, and budding filmmakers together to craft projects from story conception to the screen. The program also grew from a startup of 2 students, to a headcount of well over 30 students. Outdoor Studies students at PWSC were able to finish with an Associates of Applied Science in Outdoor Studies, accredited by the NWCCU. The program was founded with support from, and developed an equivalency agreement with the University of Alaska Fairbanks Film program. Founded/directed by DB Palmer EdD, Professor of Outdoor Leadership. A few words about intellectual property. 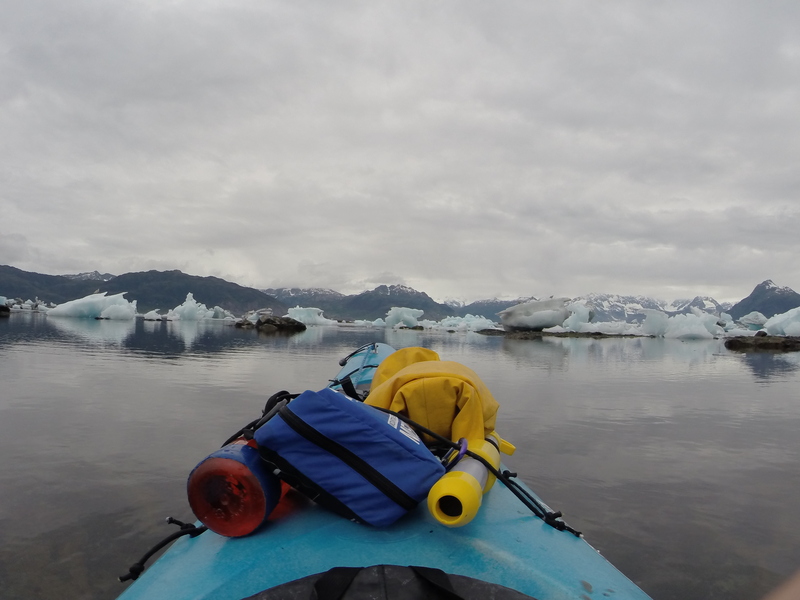 Columbia Glacier with Dr. Palmer leading Sea Kayak outings. Professor DB Palmer is, and has always been, responsible for the maintenance of this website, its content, and its financing. PWSC and the University of Alaska does not maintain this website, nor are they responsible for, or involved in, the content herein. The relationship between Dr. Palmer and the University of Alaska is that of Professor and University, respectively. As such, Dr. Palmer is free to pursue intellectual projects, creations, research, and other activities which are not owned by the university. 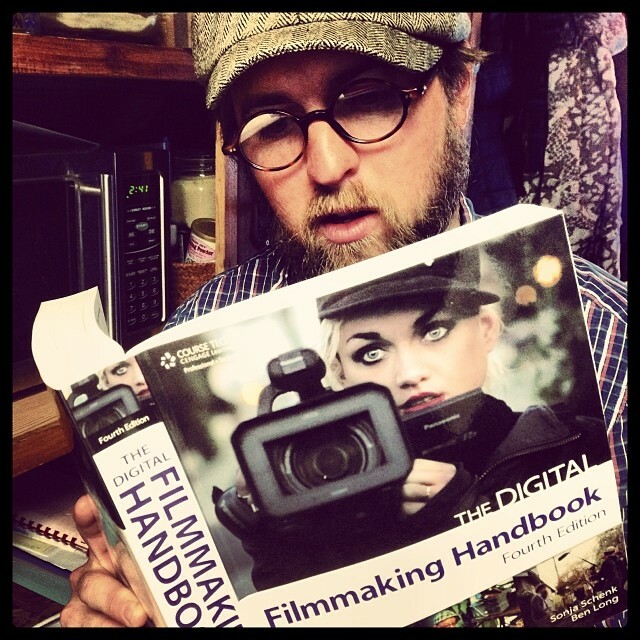 Dr. Palmer claims all rights to the terms “Adventure Film School Alaska”, “Expeditionary Film School of Alaska”, his syllabi, his original content, and his scholarly and artistic endeavors as his intellectual property, and as his creative endeavor, which the university may be permitted to utilize for mutual benefit, when given his consent. This disclaimer does not exclude additional intellectual property rights which are not stated herein. Hi there, I’m just wondering where abouts in alaska you guys are based. I work with a small film production company in England but I’m heading out to alaska to travel and document the outdoors for myself at the start of may so was just seeing about paying you guys a visit and finding out a little more about what you do and even help out for a few days if that’s something you’d be interested in. Best wishes guys. Stay well.